Tech trumped politics in this year's annual ranking of billionaires. President Donald Trump’s net worth fell by $400 million last year, causing him to plummet 222 places on Forbes' annual list of the world’s billionaires, released Tuesday. The magazine attributed Trump’s fall to the decrease in value of his Manhattan real estate holdings and less-than-stellar performance by his golf resorts. 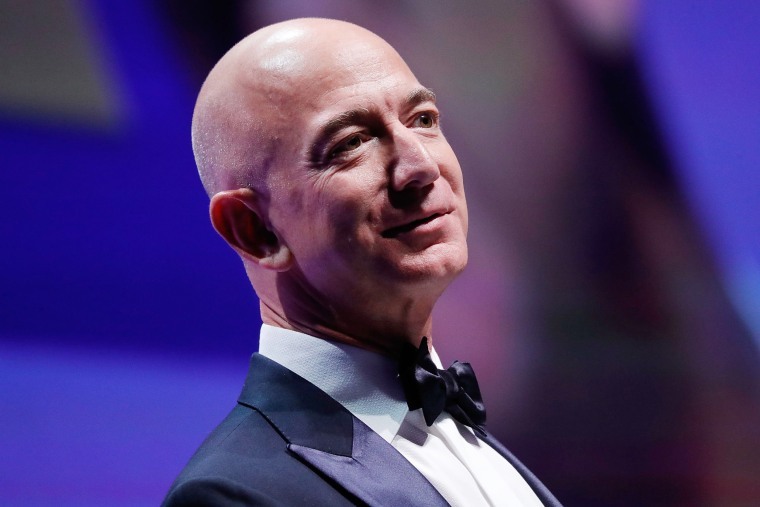 Amazon CEO Jeff Bezos tops the list for the first time, making him officially the richest person on the planet. Bezos’ fortune somersaulted by $39.2 billion in 2017 to hit $112 billion, the annual list’s biggest gain ever. Rounding out the top three are Microsoft’s Bill Gates with $90 billion, and investor Warren Buffett with $84 billion. Facebook founder Mark Zuckerberg ranks fifth, with a fortune of $71 billion; Elon Musk ranked 54th, with $19.9 billion; Blackstone founder Stephen Schwarzman is 117th with $12.6 billion; and investor Robert Smith became the richest black person in America, with an estimated net worth of $4.4 billion. All 10 Saudi Arabians who usually feature among the top 100, including prominent tech investor Prince Alwaleed bin Talal, were left off the list, “due to a lack of clarity about what they currently own,” Forbes explained, following a recent Saudi government crackdown on corruption within its ranks. Commerce Secretary Wilbur Ross also toppled off the list this year, after a Forbes investigation revealed “an apparent sequence of fibs, exaggerations, omissions, fabrications and whoppers” on the part of Ross. His net worth was ultimately estimated at $700 million. The ranking features a record number of women this year, with 256 on the list — including an all-time high of 72 women who are self-made billionaires. The richest woman in the world is Alice Walton — whose father, Sam Walton, founded Walmart — with $46 billion. In all, 2,208 billionaires made the list, for a net total of $9 trillion. America has the most billionaires, with 585, followed by China, with 373. Hungary and Zimbabwe made their first appearance on the annual list, with one billionaire each.